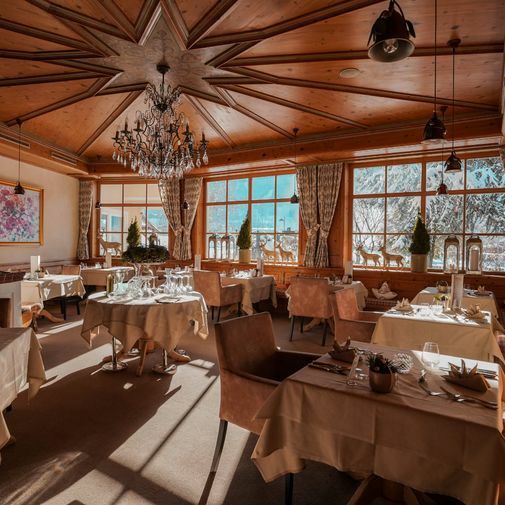 In the restaurant’s six “Stuben”, each one different from the others, you can find the taste for beauty. From the elegant Grauvogelstube to the bright summer garden in rural style, to the rustic Schwemmbergerstube, they all give off a unique and particular note. But they all have one thing in common: the courteous hospitality of the staff and the extraordinary charm that surrounds each guest.